The “Rathergate” scandal revealed media bias and deceit against conservatives. Americans disagree. The question needs a healthy airing in light of an upcoming nomination battle this summer to select a new member of the Supreme Court. After all, our Justices have to determine what is the truth from a legal point of view. Their decisions have had a profound affect on the fabric of our nation. The most obvious example: before 1973, forty-six states said it was illegal to kill a baby in the womb. After 1973, those laws were considered to be wrong. The underlying principal, that the baby in the womb was a person with rights, was “untrue” according to the Justices. Moral Relativism has emerged as a powerful force in America. It animates the political Left, and it is the political Left that currently dominates Washington. They will select the next Justice. Moral Relativists view truth as an oozing, fluid idea. What was true yesterday may not be true tomorrow. Feelings determine morality. 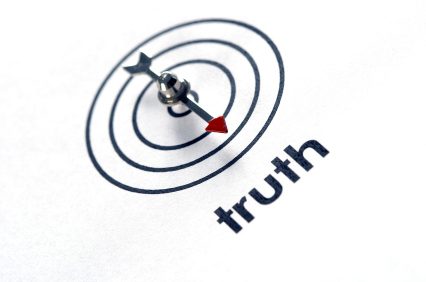 Truth is an evolving entity, much like the Constitution of the United States in their eyes. The self-esteem movement is a reflection of the impact moral relativism has had on our culture. Moral absolutism produces guilt when we do something wrong. Guilt is bad. On the other hand, moral relativism allows us to rationalize away such unpleasantness, which makes us happy. Happiness is good. Therefore, feelings ultimately define morality for the Relativist. Self-esteem is the name of the game. For moral absolutists, it is just the opposite. Moral actions define feelings. Self-respect is the name of the game. They believe truth is timeless and universal. But if that were really true, we’d be forced to accept Nazi genocide of the Jews as an acceptable German value, and who are we to impose our values on others? In fact, we so adamantly rejected them that we went to war over them. This points out an unspoken flaw with Relativism. Cultures are actually more alike than dissimilar. We are bound together by transcendent truth. Courage and compassion are revered in every culture in the world today and yesterday. Even in Nazi Germany, they were on display by brave Germans hiding their Jewish friends from the Nazis. Wisdom, hope, and honesty are universally venerated. They are ingrained in humanity, imprinted on our soul, so to speak. There has never been a culture that celebrates lying, betrayal, addiction, cowardice, and selfishness. How can this be if values are relative? The great moral influencers of the world include Moses, Jesus, Buddha, Confucius, and Mohammed. Their moral philosophies were more alike than dissimilar. Do we have a fundamental right to life? Do we have a fundamental right to liberty? Do we have a fundamental right to a pursuit of happiness? What does happiness mean from a legal viewpoint? If yes, from whom (or Whom) do these rights flow?